Hello, friends! Our book today is Kindness Matters: Sharing Bees, written by Antoinette Clark and illustrated by Russel Wayne, a story of teamwork and consideration. Sadie the bee wakes one morning to the warm sun, and is excited – it’s the first day of spring, and she is ready to help her hive collect pollen and nectar. She meets up with her friends, and they discuss their game plan; Sadie is particularly interested in procuring some white clover nectar, a favorite of the baby bees in Honeycomb City. She and her friends all work together to collect their bounty, right up until ominous clouds appear on the horizon. Suddenly, the bees are all nervous: heavy rain drops can be dangerous, and many of them are moving slow due to their loads of nectar. Thinking quickly, Sadie comes up with a plan that will get everyone and their nectar home safely. It’ll just take a little teamwork, and a little sharing. As stories go, this one is not bad at all. While the language of the text can be a little on-the-nose and overly literal in places, the story has a lot of good elements and themes: community, generosity, consideration, cooperation, leadership, courage. Unfortunately, this gets overshadowed by the deeply confusing art choices. Sadie, along with the other bees of her hive, are depicted as having humans heads, two legs, and two arms with fingered hands, yet with wings and bee-striped bodies. They almost appear to be humans in bee costumes, but everything from their hive to their size is consistent with that of actual bees (and this is never addressed in the text). It’s an unnecessary and distracting visual element, especially as the book claims to educate on the importance of bumblebees in nature; if there were the case, why not illustrate normal bees? Why give them human features? It was quite perplexing for JJ, who repeatedly searched for the “bees” the text I was reading referred to (to her eyes, she saw only humans). The length is fine, but this major stumble definitely detracts from the overall experience. Ultimately, this one was not for us, ambitious story notwithstanding. Hello, friends! Our book today is Egg: A Chasing, Racing Egg Hunt, written by Jonathan Litton and illustrated by Fhiona Galloway, a sweet Easter board book for little bookworms. Using the colorful eggs themselves to frame a series of cutouts, the simple rhyming story follows a band of barnyard friends as they hunt for eggs around the farm. Once they’ve found every last one, they pile them together to celebrate… until a cracking sounds reveals a surprise inside! Easy Easter fun. With large print text, gentle rhymes and a classic rhythm, as well as adorable, brightly colorful animals and environments, this is a great way for little ones to celebrate spring egg hunts. The cutouts add a nice feature visually, as well as providing an easy grip for little hands to turn pages. The length is about what you’d expect from a toddler board book, and JJ loved it! A great little Easter story for the littlest readers, and it’s Baby Bookworm approved! Hello, friends! Our book today is A Lion In Paris by Beatrice Alemagna, a strange and beautiful journey through the city of light. A young lion, bored with life on the savannah, catches a train into Paris to find work, love, and a new future for himself. Expecting to draw the attention of all the people of Paris as he walks down the busy streets, he is dismayed to find that they pay him little mind, even when he lets out a mighty roar. And while he marvels at the strange sights, sounds, and denizens of the bustling city, he is disillusioned to be so ignored and alone. Strolling through the Louvre, however, he meets a girl (in a familiar painting) who watches him pass and smiles mysteriously, and it buoys his spirits. Even better, he finds a stone platform (plinth) in the center of a traffic roundabout, where he can be seen and admired all day. Finding his place in Paris, he decides to stay. Sweet, silly, and visually wonderful. While the story is a twist on a classic – namely, finding one’s place in a new situation – this provides the perfect foundation for the unique and daring art, which features the lovable lion (whose odd-yet-sweetly humanoid features allow for a great deal of emotional expression) and some delightfully detailed mixed-media spreads of Paris. The Eiffel Tower, Sacré-Cœur, the Seine, and more all feature in Lion’s wanderings, populated with a diverse collection of hand-drawn and clip-art humans and media. There are some sweet moments, and a lovely ending (the lion is based on an actual statue in Place Denfert-Rochereau). The length is great, and JJ loved the lion’s adventures as well as the kid-friendly large format. This was an unusual treat, and we loved it – Baby Bookworm approved! Hello, friends! Our book today is Borrowing Bunnies: A Surprising True Tale Of Fostering Rabbits, written by Cynthia Lord, illustrated by Hazel Mitchell, and featuring photography by John Bald. This adorable nonfiction tale tells the story of the author’s experience fostering – or as she calls it, “borrowing” – two rescue bunnies to prepare them for life as pets. Going over the type of care, environment, and rehabilitation the bunnies require to be happy and healthy, she then hits the reader with a surprising twist: one of the bunnies, Pegotty, gives birth to four baby bunnies! Documenting the baby bunnies’ growth and development, she notes the highs and heartbreaking lows of being a foster parent to the cuddly animals. Finally, the time comes to send the bunnies to their new homes – though of them seems to have already found his! Well, how can baby bunnies ever be wrong! This true story, based on the author’s experience and featuring INCREDIBLY cute, high-quality photos of the bunnies themselves, gives readers a real sense of what it means to be a rabbit owner; not only the moments of adorable snuggles, but the work, care, and expertise required. In a boldly honest moment, she gently relays how two of the bunny kits passed away in infancy; while this may upset younger readers, it grounds the story in reality, making it all the more impactful. As such, the book becomes a great example of how bunnies are not “sometimes” pets, they are meant for forever homes (an important message during spring, when families often buy baby bunnies as Easter gifts without considering how much work goes into raising them). Mitchell’s delicate illustrations add just the right hint of playfulness to the photos, the length is good, and JJ adored it. A wonderful way to introduce bunny care to young readers, and it’s Baby Bookworm approved! Hello, friends! Our book today is Tiny Little Rocket by Richard Collingridge, a journey through the stars on a very special day. Lovely, yet a bit underwhelming. Perhaps because of the grand, majestic fantasy style of Collingridge’s last two picture books (When It Snows and Lionheart, which are two of the most visually stunning picture books I’ve ever seen), I was expecting something similar as he headed for the cosmos. And while there are some spreads that capture his impeccable sense of scale and detail, much of them focus on the vast, black emptiness of space and the little rocket’s interior, lit by the buttons and control panels. The latter has it’s own visual interest – though obscuring the pilot’s face behind a highly-reflective helmet makes it difficult to connect with them – but the former, while scientifically fascinating, may not hold the interest of young bookworms. Similarly, the story is a little uneven, using a rhyme scheme that changes abruptly, making it a challenge to read aloud, and a plot that feels a little directionless. However, it should be noted that both lead to a final fold-out spread that is absolutely worth the price of admission. 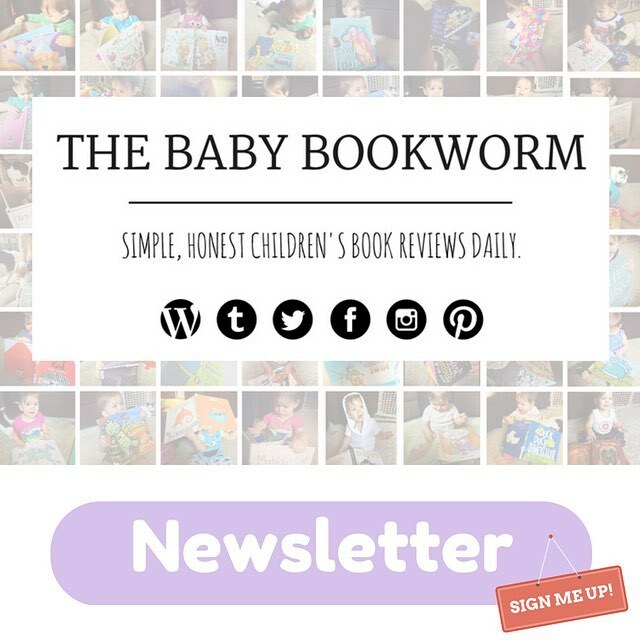 The length was fine, and JJ enjoyed the moments of onomatopoeia and the more colorful illustrations, so overall, we’re calling this one Baby Bookworm approved.